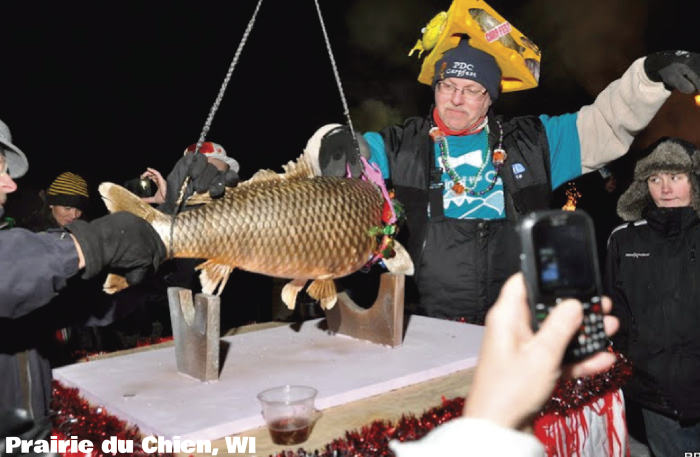 Forget the Ball: Wisconsin drops cheese and carp on New Year’s Eve. At New Years’, New York drops a ball. Two Wisconsin cities drop cheese and a carp. This is why we love Wisconsin. Plymouth, in Sheboygan County, has its annual “Cheese Drop” on New Year’s Eve and has been dropping cheese since 2007. Laying claim to the title “Cheese Capital of the World,” Plymouth takes a giant wedge of cheese, hangs lights on it, and lowers it from a ladder truck to help usher in the New Year. Sponsored by Plymouth-based Sartori, the cheese dropped is actually metal replica of a wedge of Bellavitano but real cheese is also there to enjoy, compliments of the company. There’s plenty of food, beverages, plus champagne and more cheese at midnight. Bucking tradition, this year the cheese will drop at 10pm to allow kids and families to celebrate the ringing in of 2016. The Plymouth Cheese Drop event starts at 8:30pm. with entertainment, bonfires, and more at the Plymouth Arts Center, 520 E. Mill Street in Plymouth. You can call them at (920) 893-5242 for more info. Highways 23, 57, and 67 bring you into Plymouth. Yep. 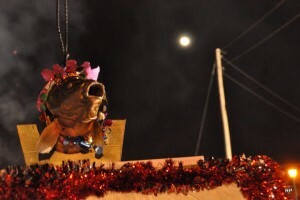 A real carp, caught in the Mississippi, named “Lucky”, and then frozen until New Years’ Eve. Lucky is then adorned with makeup and lights and lowered via crane to count down to midnight. 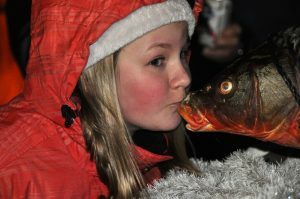 As soon as they ring in the New Year, people can kiss Lucky for good luck. This counts as a midnight kiss at New Year’s… right? How lucky can a fish get? The party takes place on the west edge of downtown PDC in St. Feriole Island Park by the Mississippi River. 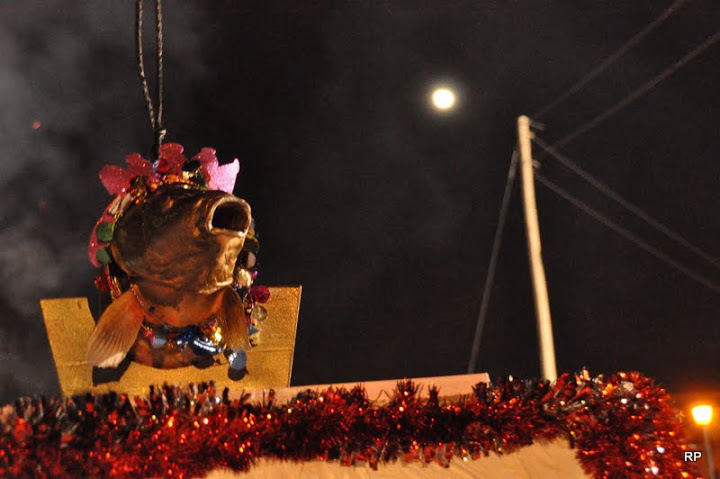 It starts at 9pm and culminates with the “Droppin’ of the Carp” at 11:59pm and ringing in 2016. A earlier version of the carp drop for children and families takes place indoors with food, hot chocolate, games, music and more inside nearby Hoffman Hall (1600 Wacouta Street) from 6:30-8:30pm. Admission for that is $3/person or $10 for a family. The later outdoor event is free. Hit U.S. 18 or Highways 27, 35, or 60 and check this out!